Question: Does EFT conform to any “Gold” standard in terms of research validation and the standards set out for psychotherapy by the APA? The meta-analysis (Johnson et al, 1999) of the four most rigorous outcome studies conducted before the year 2000, showed a larger effect size (1.3) than any other couple intervention has achieved to date. Studies consistently show excellent follow-up results and many studies show that significant progress continues after therapy. EFT has a body of process research showing that change does indeed occur in the way that the theory suggests. This level of linkage between in-session process and rigorous outcome measurement is unusual in the field of psychotherapy. EFT is the only model of couple intervention that uses a systematic empirically validated theory of adult bonding as the basis for understanding and alleviating relationship problems. The generalizability of EFT across different kinds of clients and couples facing co-morbidities such as depression and PTSD has been examined and results are consistently positive. Outcome and process research addressing key relationship factors, such as the forgiveness of injuries has also been conducted with positive results. EFT studies are generally rigorous and published in the best peer reviewed journals. Research has shown that Emotionally Focused Couple Therapy works very well for couples and the results last. We also know how EFT works. So as a result, we can train therapists how to intervene efficiently and effectively across different populations and problems. EFT research also links congruently to other bodies of research such as those examining the nature of relationship distress and adult attachment processes. Question: What is exciting about the most recent research on EFT? Emotionally Focused Therapy (EFT) changes how the brain perceives and responds to threat. A recently published study (2013) dramatically illustrates how EFT couples therapy that teaches people to bond securely builds the pathway for loving contact that soothes the brain and calms our perception of danger. It is strong evidence of how our mammalian brain is wired to use another intelligence — loving contact — to manage the fears and pains of daily life. The fMRI component of the study showed that EFT changes the way contact with a partner mediates the effect of threat on the brain. Would you like to read the article? 3. Furrow, J.L, & Bradley, B. (2011) Emotionally Focused Couple Therapy: Making the Case for Effective Couple Therapy. In J. Furrow, B. Bradley & S. Johnson (Eds. ), The Emotionally Focused Casebook, pp. 3-30. New York: Brunner Routledge. 4. Weissman, N., Batten, S.V., Dixon, L., Pasillas, R.M., Potts, W., Decker, M. & Brown, C.H. (2011) The Effectiveness of Emotionally Focused Couples Therapy (EFT) with Veterans with PTSD. In preparation. Joe X. Cantu, MA MFT received his Master of Arts in Psychology from Antioch University in Los Angeles and a BFA from Southern Methodist University in Dallas, TX. Joe is on the Board of the Los Angeles EFT Community, has established the North Texas EFT Community, is an active member of the California Association of Marriage and Family Therapists and is a preferred provider for Promises in Malibu, CA. 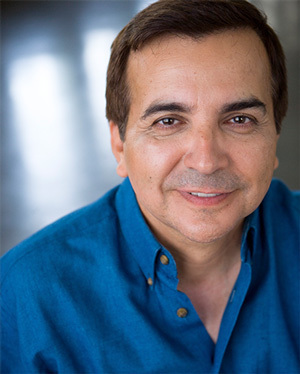 Joe received his clinical training at The Maple Counseling Center in Beverly Hills, where he received intensive training in psychodynamic psychotherapy, and worked extensively with individuals, couples, and groups. Joe also worked with the Cedars-Sinai Psychological Trauma Center providing therapy to elementary school children who have suffered or been exposed to trauma. Joe maintains two practices, one in Austin, Texas and the other in San Antonio Texas. Joe's specialty is couples, but he also sees individuals in his practice. Joe is a Certified Emotionally Focused Therapist and EFT Supervisor. Currently, Joe is supervising and helping supervise EFT Therapists in the United States, Mexico, Costa Rica, Columbia, Spain and the Isle of Jersey.